World English is an exciting new four-skills general English series which uses National Geographic content, images and video to teach the language that learners need to succeed in their daily lives. The series is built upon clear and practical learning goals which are presented and practiced through appropriate themes and topics. A competency-based series, World English uses real people, real places and real language to connect learners of English to the world. 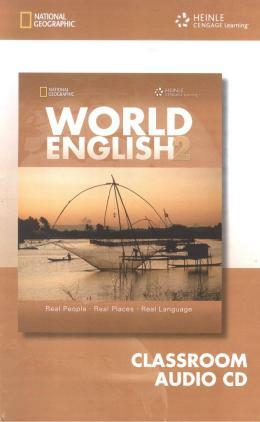 This Audio CD contains the audio recordings of the reading passages,conversations,listenings and pronunciation exercises from World English 1.